1.) D.I.Y Decorating. Decorators can cost so much money so we have decided that we are going to paint the bedrooms ourselves. At the moment the rooms are just white so we are planning on stocking up on some more colourful paints and rollers to paint them ourselves. The other half is useless with a paintbrush but I quite enjoy it so I am going to paint the rooms - wish me luck! 2.) Buy a remnant carpet. The children's bedrooms could also do with new carpet as I am not keen on the current one. We recently got a quote for new carpets and it was so expensive, so we are planning on buying a remnant instead and my dad is going to fit it for us as he can fit carpets - bonus! 3.) Flatpack furniture. Love it or hate it flatpack furniture is so much cheaper than ready built. Ikea has so many great bedroom furniture ranges that are ideal for children's bedrooms, they are affordable and look good too. 4.) Check out Groupon. I really need a new mattress for my teens' bedroom and I came across so many top quality mattress deals on Groupon. They were so much cheaper then anywhere else I have seen, I think I will have to snap her up a memory foam one soon. 5.) Hang prints. A really simple and easy way to make the room look more homely is to add some prints, you can find some great ones to print off for free online or if you're creative you could make your own. Just print them off and put them in a cheap frame (Ikea is brilliant for these) and hang them on the walls to brighten the room up, you could even frame some of their artwork if you preferred. 6.) Toy Storage. 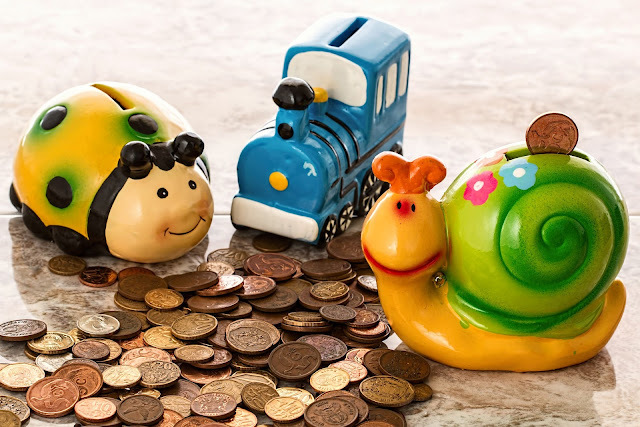 Shop around for toy storage you can buy so many storage units cheaply, I am a big fan of the Kallak units as they look good and are great for keeping toys organised and to prevent clutter. 7.) Shop in the sales for bedding. I picked up some lovely bedding sets in the sales a few months ago at less than half-price. It is also worth checking out some budget shops like Primark as they have some lovely Disney bedding sets in that are really affordable. 8.) Shelves. Adding some inexpensive shelves is a great way to display special keepsakes and can really change the look and feel of the room. My children love having special mementoes and photos on display in their room. 9.) Search Pinterest. I loved Pinterest and I scour it whenever I am looking for home decor ideas, it is full of clever, affordable ways to decorate children's bedrooms. 10.) Buy inexpensive accessories when you see them. My teenage daughter's room is full of inexpensive accessories such as throw, cushions, prints and photo frames and they make such a difference to her room and really finish the room off. So those are the ways I am planning on decorating my children's rooms on a budget, what is your best money saving tip when decorating? Great ideas! I think decorating a child's room can be inexpensive when you put your mind to it.